Retailer Target has started a hiring blitz in advance of its 2013 launch in Canada, promising to hire "thousands" of Canadians as the iconic U.S. chain opens stores north of the border. The Minneapolis-based retailer launched a careers website on Tuesday as part of its plan to open 125 to 135 stores across the country in 2013. "We will be welcoming thousands of Canadians to our team in the years ahead, and [this site] will help us connect with people who want to join Target and help us transition into the Canadian market," Tiffany Monroe, vice president of human resources for Target Canada, said in a statement. The company expects to have 500 people employed in its Mississauga head office by launch time in 2013, and plans to hire hundreds for each location it opens. Market observers commonly speculated about Target expanding north of the border since competitor Walmart made the move in the mid-1990s, but it wasn’t until January of this year that Target announced its expansion to Canada, when it bought 220 stores from the Zellers chain, which in recent years had been part of the Hudson’s Bay Co. The going price for 220 Zellers stores was $1.8 billion. 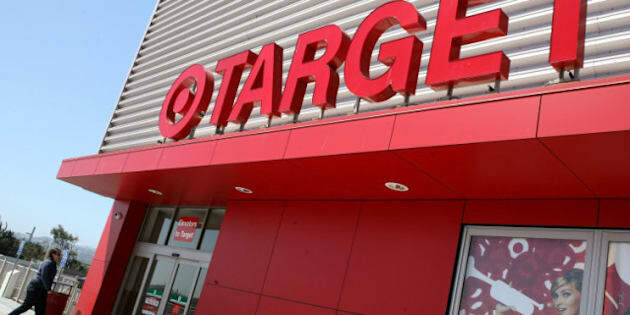 Target CEO Gregg Steinhafel told investors in New York on Monday that the company projects its Canadian stores will add $6 billion in annual revenue by 2017. "We expect our core Canadian guest profile will look quite similar to our U.S. profile: young, active, well educated and with children at home," Michal Francis, the company’s chief merchandising officer, said. "We were pleased to learn that nearly 70 per cent of Canadians are already familiar with the Target brand. Eleven percent have shopped our stores in the past year, and more than 30,000 are currently Redcard holders." Target's Canadian stores will vary depending on location, the company told investors, with rural stores relying more heavily on a large food component. But before Target can begin operating in Canada it has to settle a trademark dispute involving Isaac Benitah, the owner of Fairweather Ltd., who owns the right to use the "Target" name in Canada. In May, Target went to court to stop Benitah from using the retail brand Target Apparel. But the company lost the first round, with a federal judge saying the company had failed to prove "irreparable harm" from Benitah's use of the name. The matter heads to a full trial next year, with Benitah expected to ask the courts to stop Target from using the name in Canada. Target spokespeople have said they are confident they will win the case.